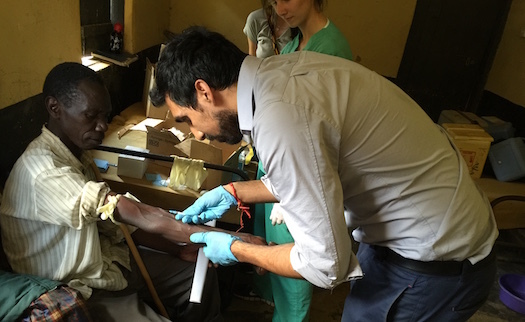 I traveled to Uganda and joined the Kigezi Health Foundation primarily to expand my knowledge of global health disparities, community empowerment and rural medicine. 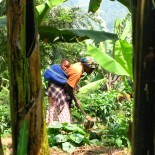 Adequate nutrition remains a challenge for several families in the Kabale area with several diseases having clear associations with malnutrition. My work involved studying the impact of rabbit breeding in low-income families as a means to provide adequate nutrition and additional income. The ultimate goal remains to expand knowledge and resources to address public health issues and maximize population health. My father and grandmother were born and raised in Kabale and these personal ties to Uganda have specifically drawn me to this community. My family’s experiences have provided me perspective on the impact of disease within this community while fostering my desire to provide medical service to the local population. My experience with the KIHEFO reinforced my desire to engage in rural medicine and global health, addressing healthcare issues through improving the social determinants of health and community empowerment. I had limited proficiency in Ruchiga–the local language–and a greater proficiency with the local language would undoubtedly help address the cultural and linguistic barriers and build rapport with patients. Local medical professionals are already faced with a demanding clinical workload, and learning the language and cultural practices partially alleviates the ethical responsibility of having the clinical staff host foreign medical trainees. Cultural attitudes towards medicine also have an impact on healthcare delivery in Uganda, particularly given that 80% of the population exclusively seek out traditional healers as their primary care providers. The KIHEFO has attempted to partner with traditional healers in order to encourage Ugandans to seek out modern medical services. The differences in particular disease treatment protocols and regimen add to the ethical conflict between my own perspective on healthcare and the approach in Kabale. To cope with these realities, I have relied on a network of former global health students and local professionals to better understand Ugandan healthcare along with their unique approach to addressing disease and suffering in a resource-limited setting. My work with the KIHEFO will contribute to an academic relationship with McGill University and provide a mutually beneficial opportunity to expand knowledge and resources to address public health issues such as malnutrition and HIV prevention. Furthermore, an ongoing partnership between both parties will allow for expansion of available medical resources, services and additional opportunities for knowledge exchange and learning. The benefits of partnering with North American universities are already visible in the KIHEFO’s maternal clinic, which enjoys the use of a donated portable ultrasound machine. As services continue to grow, medical trainees and residents rotating through Kabale will provide additional training to local staff and counselling to community members in order to improve quality of care and maximize population health. As a practicing physician, I will be able to use the knowledge gained working with the KIHEFO to advocate for policy changes locally and globally that also focus on the social determinants of health including food security and housing that will reduce health inequities. Learning the practice of rural medicine in Uganda allowed me to develop my awareness of the organization of healthcare in a resource-limited setting. It will give me the skills to strive to become a physician who remains conscious of the challenges of healthcare delivery and to provide the most efficient patient care. As I have embraced the significance of public health to communities, I am optimistic that I will continue to engage in global rural medicine initiatives and devote myself to career and life as an advocate for global health. My work with the KIHEFO presents challenges and learning opportunities that will improve my understanding of the disparities in global health, the value of community empowerment in healthcare and the challenges of rural medicine in a developing nation. These skills will serve as a foundation for my desire to pursue a career focusing on global health service and the development of global health policy. Neil Verma was the recipient of the Ashworth Student Travel Award. Neil is a third-year medical student primarily interested in understanding the social, cultural and economic aspects of health and disease to improve global health. This entry was posted on October 18, 2016 by KIHEFO in Welcome from KIHEFO.